I received the following email from an aspiring copywriter. I thought I’d share his question and my response to help others embarking on their freelance writing career. Launch your copywriting career by creating your own website and looking for opportunities to build your portfolio. I found you on a Google search for Orlando Copywriters and I have to say that I love your site. It’s such a great piece of marketing. I aspire to have a copywriting site as detailed as yours one day. The reason I’m contacting you is because I want to be a copywriter some day too. I have written a few blog posts and pages for one website. Every day I try to devote at least an hour to reading about copywriting to pick up every bit of information I can. I know this is something I would love to do full time. Mostly I want to ask where you think I should start. I was thinking about helping nonprofits with their copy to build up a portfolio on my soon-to-be website. I’m waiting to stash away extra income for a domain name and the other necessities for having a presence online. Then after I have a nice looking site, I’ll start prospecting with letters of introduction, social media, and maybe even local events, which I wanted to ask you about as well. I’m really starting from scratch, so any guidance at all from an experienced, successful copywriter like you would be amazing. Thank you so much! Nice to meet you. Thanks for the kind words about my website. I appreciate the positive feedback. Sounds like you’re on the right track as far as launching your copywriting career. There’s really no single right way to get started. Everyone seems to make his or her own path. You mentioned saving your money to build a website. Don’t wait. Instead start with a free resource like www.weebly.com or www.wix.com. Something is better than nothing. Having a website will go a long way toward giving you credibility and getting clients to take a chance on hiring you. Your website should also be a work in progress. Add to it as you learn and grow. As you get to be a better, more experienced copywriter, your site should reflect your expanding capabilities. Look for any opportunity to get some experience and portfolio samples. If you have any friends or relatives with businesses, they might be a good place to start. Perhaps they need help writing a sales letter, press release, website or brochure. Or seek out a web designer just starting out and work a trade. You write his site and in return he designs yours. That’s how I got both my first website and first portfolio piece. I traded services with an aspiring web designer and we were both able to launch our businesses. As you noted, nonprofits looking for free or low-cost marketing and copywriting help might also provide some opportunities. Align yourself with causes near to your heart, and your writing will reflect your passion. Don’t be afraid to take on jobs that may be “beneath you.” Instead look upon every situation as an opportunity to learn. I remember writing classified ads and obituaries for a newspaper when I was starting out. I also had jobs proofreading reports that I know I could have written far better than the executives who’d prepared them. One job even had me writing rejection letters to people who didn’t qualify for a credit card they wanted. As you can see, these were not glamorous assignments and the pay was equally unimpressive. One day you’ll get to a point in your copywriting career where you can be more selective in the work you take on. For now, every job with any type of writing component is part of your education and also what’s known as “paying your dues” in your chosen profession. I like that you spend time every day reading about copywriting. I still do that. I subscribe to a ton of copywriting and marketing blogs. 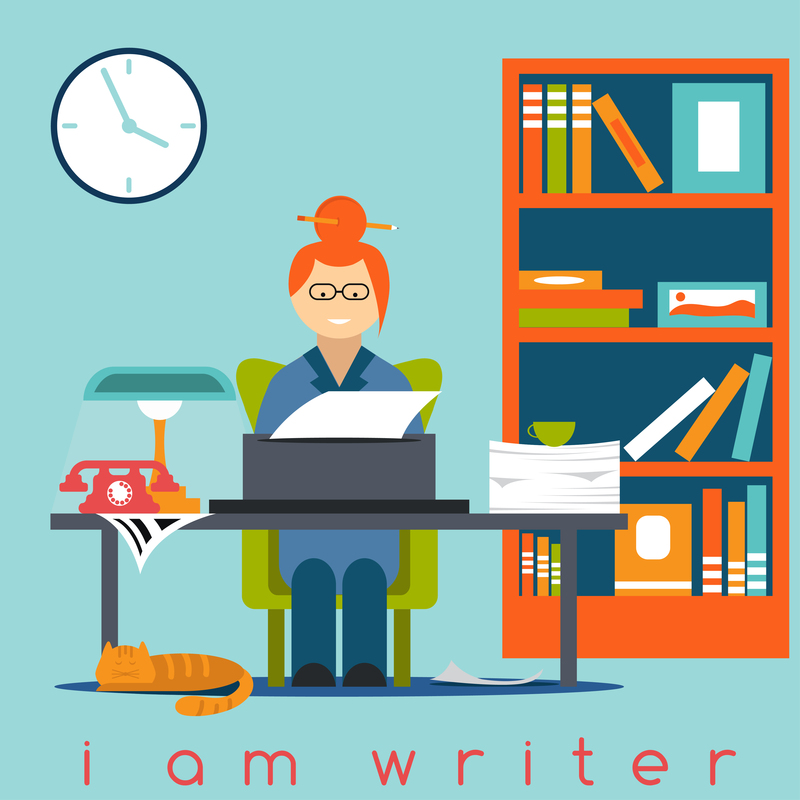 They have helped me improve as a writer. How I wish they’d been around when I was starting out! They would have greatly shortened my learning curve. Just make sure you’re not spending time reading at the expense of writing. The best way to get better at writing is to write. Someone who wants to learn to play the piano can read 100 books on the subject, but he’ll never be a great pianist until he invests time practicing. I wish you the best of luck and success in all your endeavors. Need help creating marketing materials for your business? 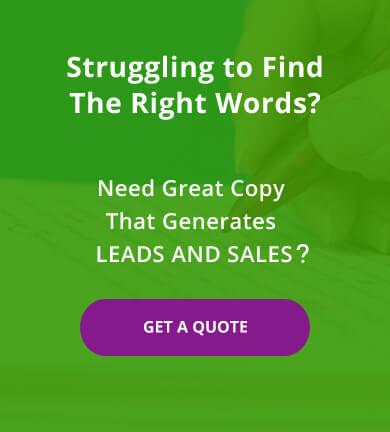 Work with a professional copywriter. Contact Susan Greene today!